Are you completely familiar with the most recent changes to Alabama laws on total return trusts? In 2013, the Alabama legislature amended the Alabama Principal and Income Act to provide for two types of total return trusts – express unitrusts and converted unitrusts. Typically, this section will be relied upon by trusts that are intended to satisfy the “pay all income” requirement of marital deduction trusts. To be consistent with the example in the Treasury Regulation, an express unitrust should require that the trustee distribute a unitrust amount each year equal to a fixed percentage of not less than 3% nor more than 5% per year of the net fair market value of the trust assets. If your law practice involves estate/trust issues in Alabama, you'll want to use this informative 60-minute webinar. Unitrust: Total Return Structuring and Conversion Opportunities for the Alabama Attorney — is just $107. Gregory Watts, of Johnstone Adams LLC in Mobile, practices in the areas of commercial law, taxation law, probate and trust administration, tax-exempt organizations and estate planning. 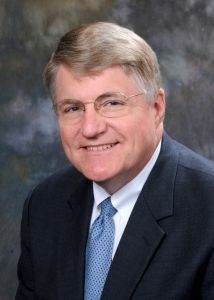 He is a member of the Estate Planning Council of Mobile, a Trustee of the American Institute on Federal Taxation held annually in Birmingham, Alabama and Co-Chairman of the Planning Committee for the annual Alabama CLE Estate Planning Seminar. Mr. Watts has been listed in Best Lawyers in America® for more than 10 years, and was named by Best Lawyers as "Mobile Lawyer of the Year for Tax Law" in 2012 and "Mobile Lawyer of the Year for Trust and Estates" in 2010. Mr. Watts received his B.A. from the University of Notre Dame with highest honors, his J.D. from the University of Alabama, and his LL.M. in Taxation from Emory University.